CHARLOTTE COUNTY, Fla. — Deputies in our area don't always tackle crime. Sometimes they come across slithery suspects. Check out this picture posted by the Charlotte County Sheriff's Office. 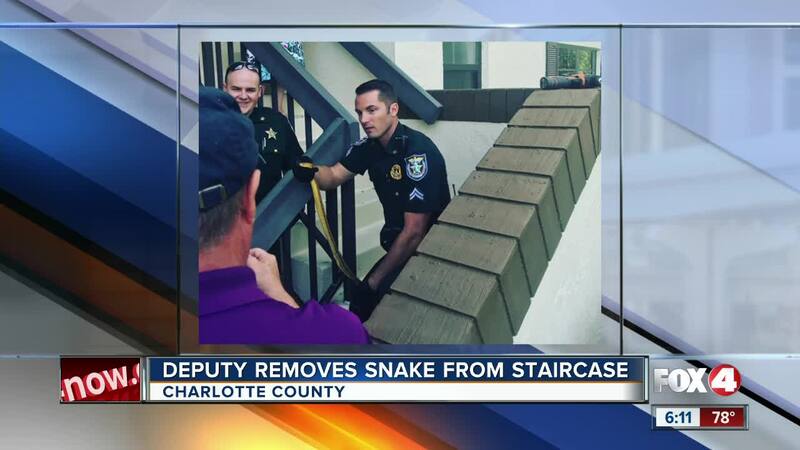 They say a member of the "Oaks Neighborhood Watches" snapped this photo of a deputy removing a snake from their staircase. The reptile was stuck in a building railing, blocking people on the second floor from coming down the stairs. The snake was safely relocated.